Spiderflix is an offshoot of a local Orlando company. Basically some people who, after some time away, just want to get back into making films. We have prior experience and have been fairly successful in winning video contests and film festivals. 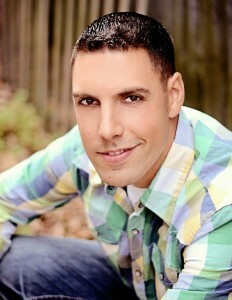 Born and raised in Queens New York, Dale Frohman has been a filmmaker since 1998. A director, producer, cinematographer and editor, his work has appeared in several film festivals. Dale now calls Central Florida home with his wife and three children. To be totally honest our goal is to make full length movies. To be totally realistic we are starting with a series of short “film festival” type of productions. Our intent is to produce six to eight videos this year. Ok, you get the idea… we have everything else covered. It’s the actors who can make a production really work. We hope to establish a core group of actors who, in addition to being good at their craft, are reliable and easy to work with. We are basically forming a team. We need high quality productions in order to advance and as an actor, so do you! Join our team and together we can make this happen! I’m an actor, what do I do? Send us a link to a video of something you’ve done. If you have never done anything then read your favorite lines to a video camera, web-cam, cell phone, whatever… and send it or upload to YouTube. It’s simple! Video quality is not important. Your voice and presence is!